To view the Breed Plan click, Breeding Strategy. 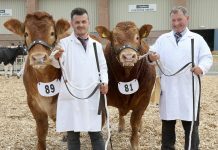 The British Limousin Cattle Society (BLCS) has announced its plans for a major investment in the genetic improvement of the breed over the coming ten years. Through development of high quality genetics in new key areas of performance, investment of over £1 million by the Society will have the potential to deliver an additional estimated £50 million per annum in to the pockets of commercial producers using Limousin genetics. Details of the 10-year Breed Improvement Plan were outlined at the Society’s 43rd Annual General Meeting of members held within the BLCS’s new office premises in Royal Leamington Spa, Warwickshire. The plan, consisting of ten strategic Breeding Goals, focusses on areas including: the accelerated improvement of the breed’s easy calving capabilities; improving rates of gain in growth and carcase traits; and the introduction of measures to identify and further improve feed efficiency. It also identifies new pathways of retrieving animal information that can be used for genetic analysis – for example, using records from wider industry bodies such as BCMS and abattoirs – and will exploit further the development of genomic breeding values (GBVs). GBVs are EBVs (Estimated Breeding Values) created using individual animal DNA as well on-farm performance records. An outline of the work is identified in a strategic document, the BLCS Breed Improvement Plan 2014-2024. The purpose of its implementation is to lay out the areas of change and improvement that will have most impact on the current and future profitability of commercial Limousin producers and to identify the actions and investment that will empower pedigree breeders and the Society to achieve it. The Plan was conceived over a two year period of consultation. During this time, BLCS undertook some key areas of work & consultation to help identify its future breeding priorities against a backdrop of progress made to date, as well as current and future market drivers and demands. This included detailed consultation with Limousin breeders, buyers, geneticists and in discussion with processors and retailers. Formal adoption of the Plan by the BLCS Council of Management was in the early part of 2014 and delivery of the work identified within it has already commenced in some areas. 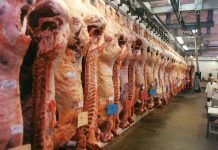 2015 will see culmination of a £1.5 million project to deliver Genomic Breeding Values to industry for seven new carcase cuts using visual image analysis (VIA) measures out of the abattoir. Publication of myostatin (double muscling) genotypes is to commence in 2015, with this information supporting the existing EBV information relating to Calving Ease. Making the announcement the newly elected BLCS Chairman, John Phillips, Whitland, Carmarthenshire said: “For the last 18 years, the Limousin breed has dominated the commercial sector both as a suckler cow and as a terminal sire. 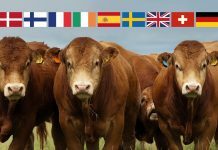 Almost one third of beef-sired calves born in Britain in 2013 were Limousin-bred and an estimated 70% of the UK’s suckler cows have a content of Limousin breeding. 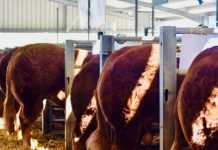 Genetic change within the Limousin pedigree herd therefore has a significant impact on the commercial sector and the returns and efficiencies experienced by its producers. This strategic plan is in place to ensure that the genetic change within the Limousin breed in the coming years is progressive and desirable, and specifically targets the market demands required by all levels of the industry”. 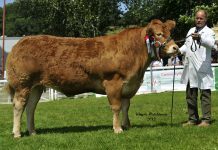 Mr Phillips continued “This Plan demonstrates the Society’s purpose and commitment to investing in the development and improvement of the breed to bring profitability to pedigree breeders and commercial users of Limousin cattle and genetics. It is a groundbreaking body of work, built around established and new breeding technologies to protect and grow all Limousin-based enterprises, now and in the future”. To grow the performance recorded population to 75% of registrations by the end of this Strategy period; a result of ‘demand-pull’ from development of Goals 2 to 10. To improve Calving Ease to a point at the end of this Strategy period (2024) where its annual rate of genetic change is zero. To establish the role genetics has to play in control of meat quality, identify suitable means of evaluation & set appropriate breeding targets. To improve current levels of progress being made for Age at 1st Calving and Calving Interval and Gestation length. To investigate wider measures of cow production efficiency. To maintain current levels of genetic progress in Longevity. To generate positive genetic change and improve 200 Day Milk Weight within the breed.